The Tandem Bike Inn is conveniently located one hour from Philadelphia and one hour from New York City. And, the train from New York City drops passengers just two blocks from the Inn’s front door. 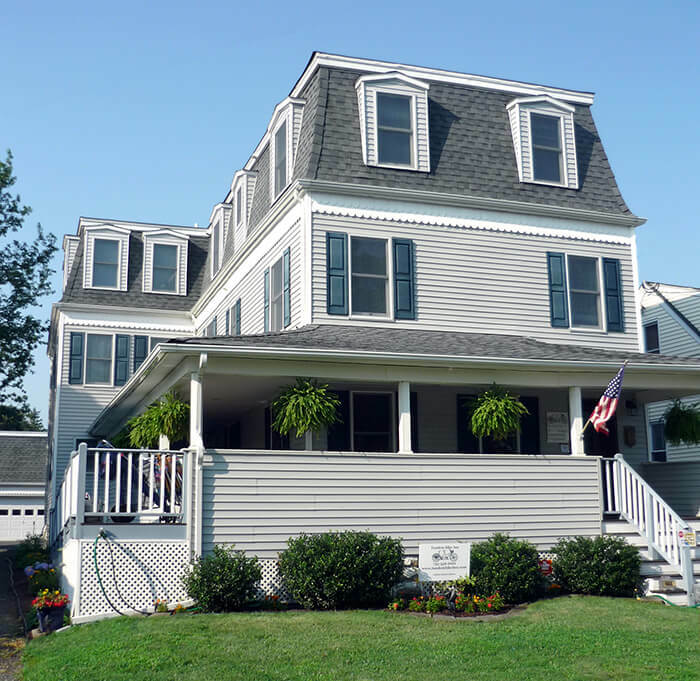 Located just one block off Main Street and a short walk to the beach in one direction and marina in the other, The Tandem Bike Inn is perfectly situated for a restful and relaxing vacation. Once you arrive you can walk everywhere. There are many great restaurants and shops right on Main Street and the beach and ocean front dining are only five blocks away. Come and relax! Many have asked about our name. Well, it goes back a ways. In 2000 a degenerative nerve condition finally took the last of Anne Marie’s hearing. A side effect of this condition is a loss of balance due to damage to the inner ear. As a result Anne Marie could no longer ride a bike, an activity she always loved. In 2001 Anne Marie had the first of two Cochlear Implant operations which have been extremely successful, restoring more than 90% of her hearing, however the balance issues remained. 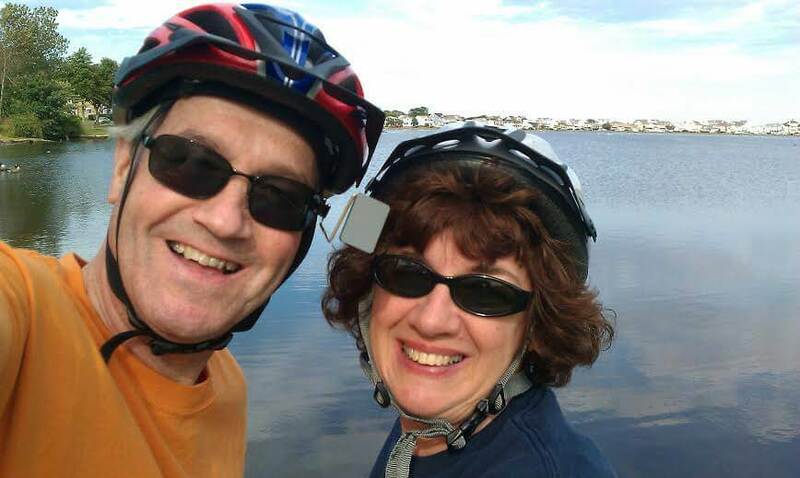 In 2002 we purchased a summer home in Wildwood, NJ and quickly discovered that the Jersey Shore is a great place to ride bikes and many of the towns cater to bike riders. We wanted desperately to join in the fun with our four children. I suspect you can guess the rest of the story. For Christmas 2002 I bought Anne Marie (and myself) an old antique tandem bike on eBay. We fixed it up and taught ourselves to ride. It was quite a challenge at first. As it turns out tandem bike riding is a team sport. Both riders must be in perfect sync and ride as one, starting at the same time, leaning into the turns and stopping without falling over. But, after a little practice we got the hang of it and now we are self proclaimed relative experts. Fast forward to 2011. We decided to sell our home in Wildwood and open our Inn and we needed a unique and catchy name. We wanted it to be a name that reflected our partnership not only in this new venture, but also during our 30+ years of marriage and raising a family. We knew it was going to be a team sport that required us to be in perfect sync to be successful. The image of the Tandem Bike reflects for us our relationship in this business and in our lives together. Now, any chance we get we pull out the bike and ride all around the area. The town of Belmar and the surrounding towns are great places to ride. We now own three tandem bikes as well as six individual bikes that our guests can borrow at no charge. AND, we give free tandem bike riding lessons!